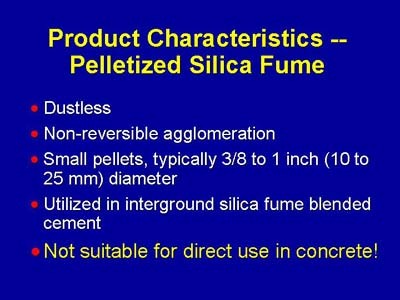 Silica fume producers have frequently pelletized silica fume as a means of preparing the material for disposal. This process involves adding moisture to the silica fume and results in very hard pellets. These pellets will not disperse during production of concrete in a central mixer or truck mixer.